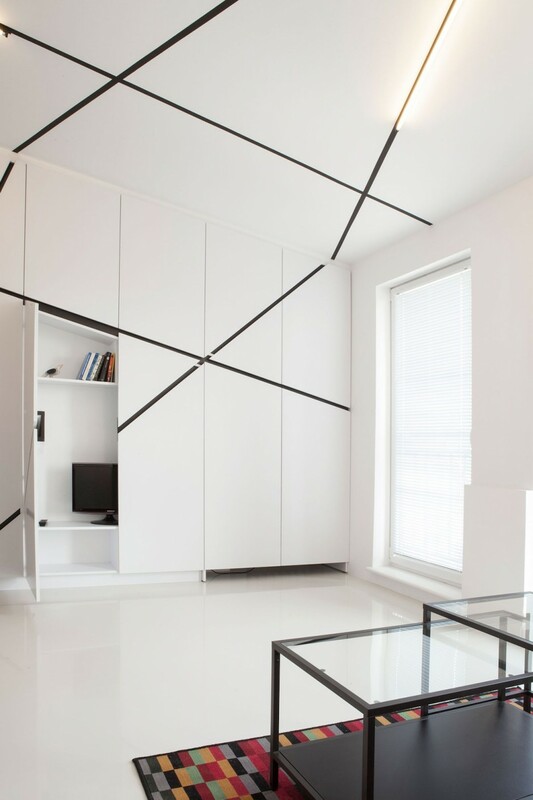 Asymmetrical geometric panels open up to reveal hidden storage in this ultra-minimalist Lazarz, Poland apartment. 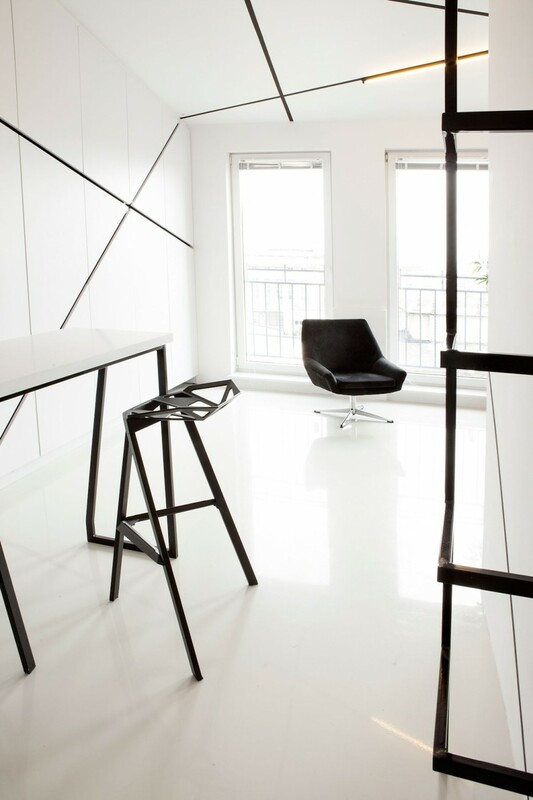 A series of dramatic black lines slice through the stark white space, criss-crossing the room, drawing the eye from one end to the other like any good composition. Inlaid with custom lighting fixtures on the ceiling, the lines of this black and white apartment also create unexpected shapes in the cabinet doors that cover personal items like books and the television. 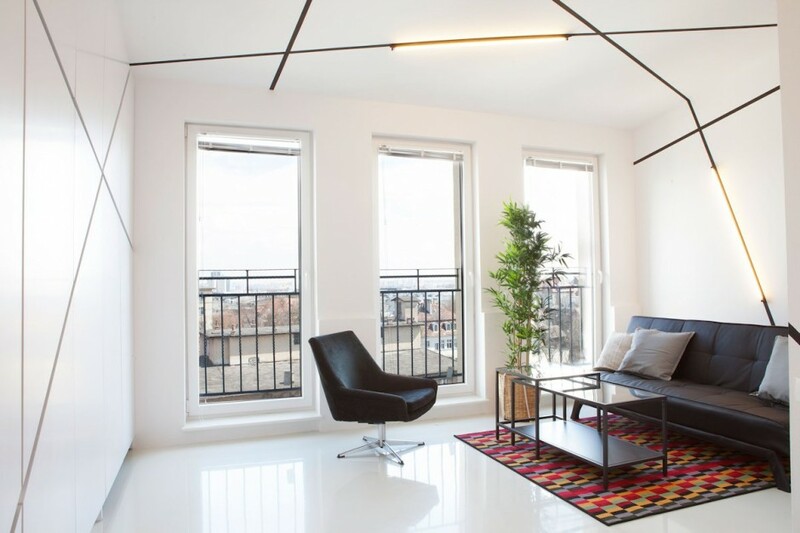 Working with a limited budget of just €8,000 (roughly $11,000), Mili Mlodzi Ludzie architects came up with an incredibly creative storage idea that meets the client’s expectations for minimalism while also making the available space appear much larger than it really is. 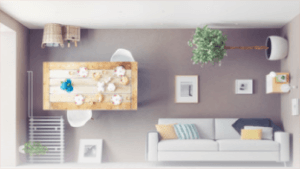 What looks, at first glance, like a very bare room, actually conceals all of the clutter accumulated by the average apartment dweller. There’s nary a book, cup or bin of random junk in sight. Even a desk and the kitchen are hidden behind these geometric panels. The only color in the apartment comes from a throw rug in the living area. The effect is chic, glossy and graphic. 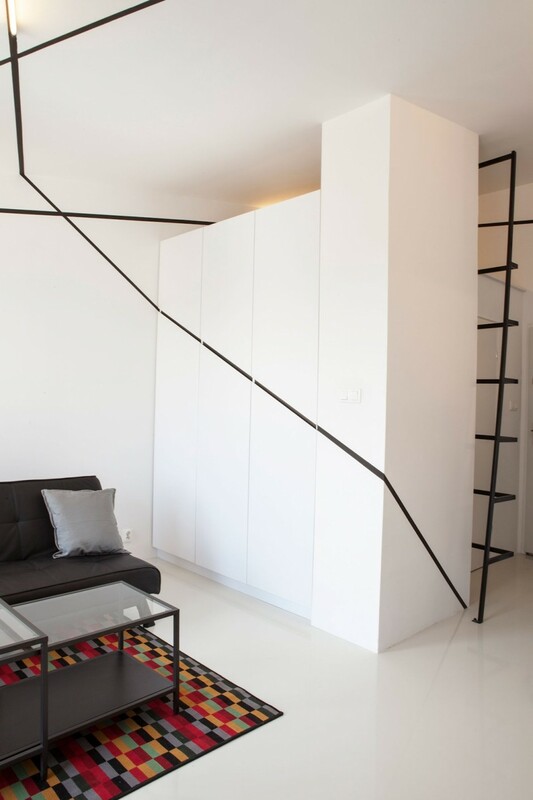 The dramatic, eye-catching black lines are echoed and accentuated by streamlined furniture and a slim black ladder leading to a sleeping loft. Taking it all in as a whole, you might be so dazzled by the overall effect you don’t even realize the lines are concealing hidden storage compartments, or you might spot those little cracks and feel a compulsion to pry them open. 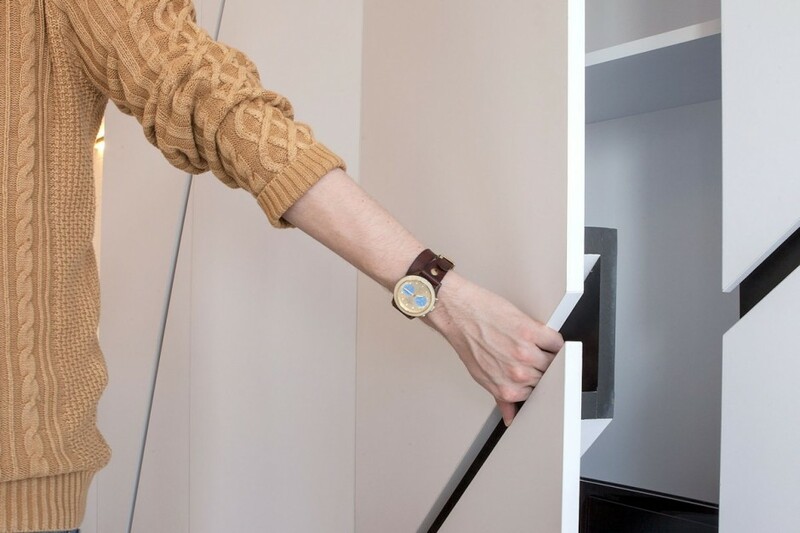 “Peter’s Flat” is definitely a creative storage solution for a micro apartment, and the fact that it was done on such a small budget makes it all the more impressive. 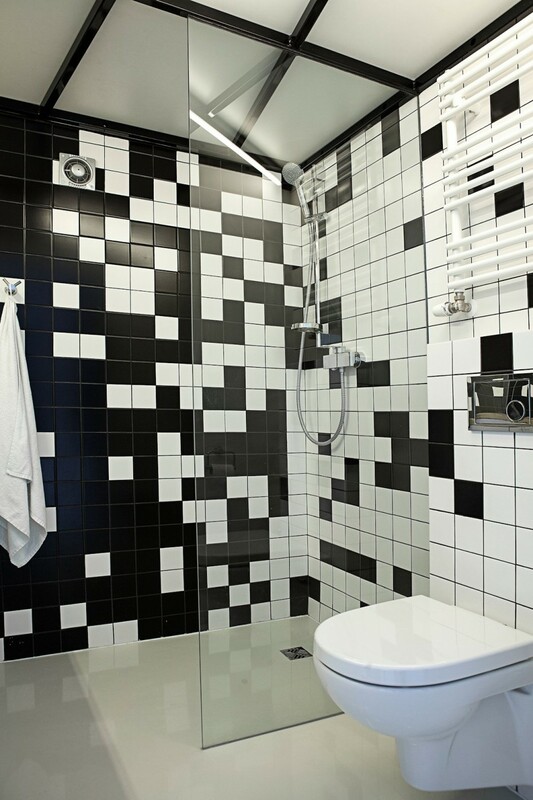 Monochromatic modern interior design may not be for everyone, but in this case, it really works. 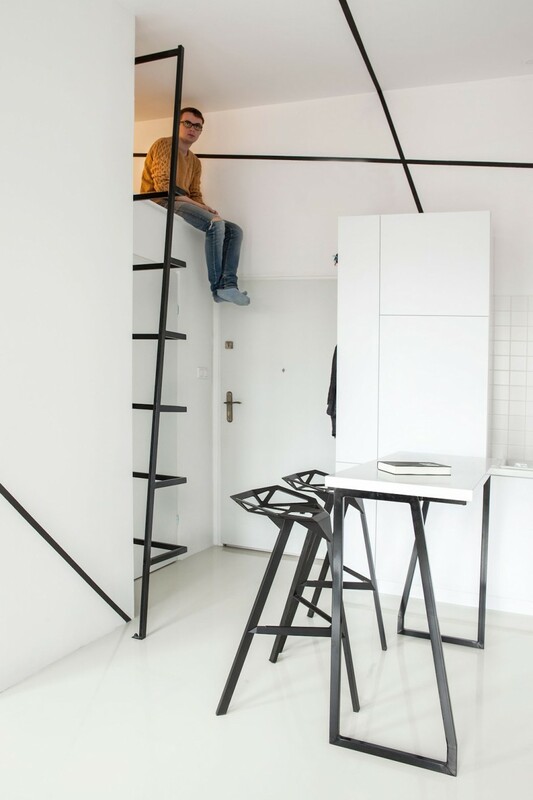 Would you live in this cool compact hyper-organized space?